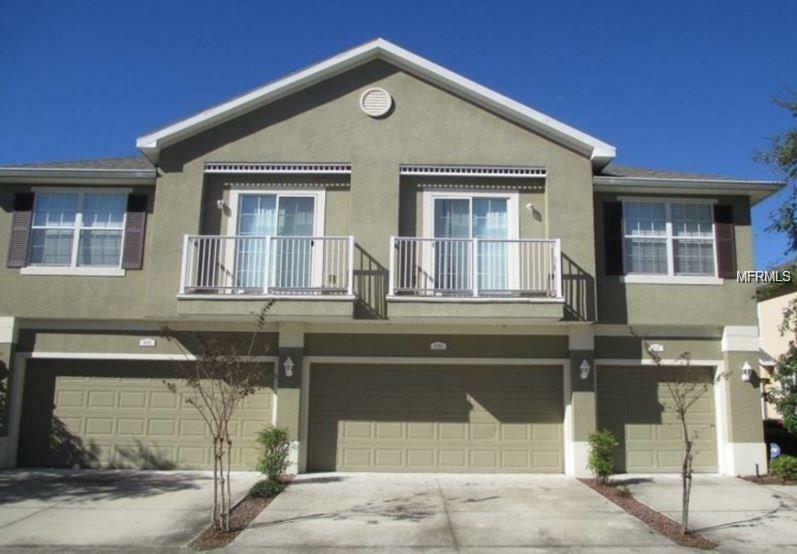 Freshly painted two story corner unit townhouse in an amazing gated community with a community pool. This home offers a side entry into a stacked living and dining room with volume ceilings and new wood flooring. The over-sized kitchen offers 42 " upper cabinet, hard surface counter tops and brand new slate appliances. The first floor also has a half bathroom, laundry room with brand new washer and dryer and access to the two car garage. The second story has three bedrooms and two bathrooms. The rear of the property has a small patio and a view of a conservation.